I just love this job! the trouble is, with all good things, I know it is going to come to an end. 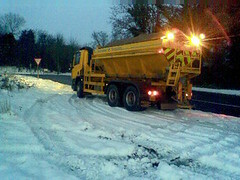 Time to get back out in the plough. 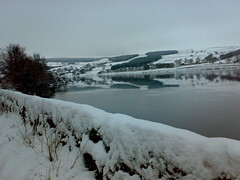 Here in God's own country, Yorkshire, there is enough snow to keep me busy. Just off to start the night shift. Mark and I had a good time at the show. 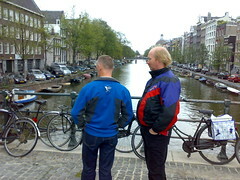 It gave us time to chat and think about stuff for next year. 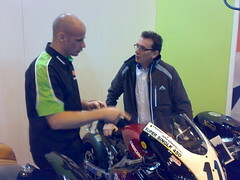 It was also good to meet the Chaps at FTR at last. 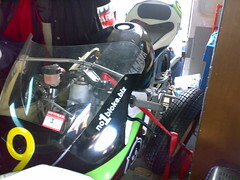 They did a lot of the fabrication work on 'Sabina'. unfortunately Sabina did not win the Carole Nash competition. But she does look good as Miss June in the calendar. 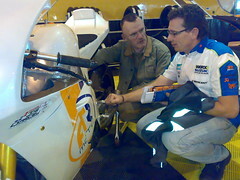 Lots of interest in her though here Ryan Farquhar is taking a closer look. Thanks to everyone who voted on the photos, the final choice for the calendar has now been made. Once again I can't choose which photos from this season to put in the 2010 desk calendar - please just click here: Photo Album to see all the photos and rate them for me. Great service - Interparcel - alternative delivery options. 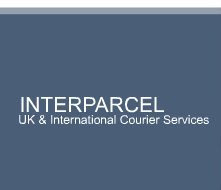 I have found that Interparcel offer a great web based service for package deliveries - not just for the UK but Worldwide as well. You simply enter the details of your item, and then Interparcel offers you all the different delivery options that you can use for your package. You can also pay using PayPal, which I find is very handy. Yes its been wet - damn wet, yes its windy - damn windy. 60mph gusts apparently. 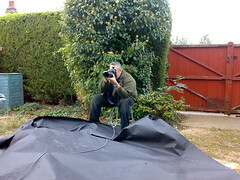 But we're still managing to get some sessions done. Even seen sunshine and might get to slicks before the end of the day! 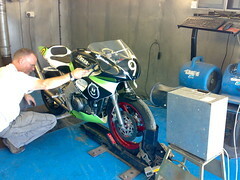 Thanks to Roy and Martin at Slipstream we have been able to make a modification that means we could get Gordon to Assen next weekend. 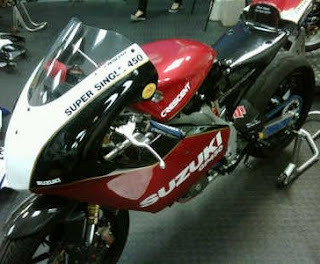 We have just called to see Damian at Daytuner Performance to check he runs and has enough gears! 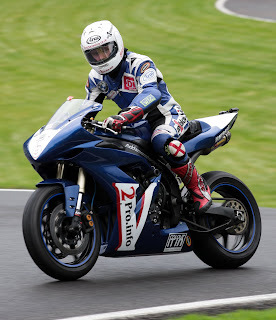 Out in the advanced group of a track day, it certainly made it interesting with just 54bhp! Mark has restored this beautiful Rumi Honda 600, I have to say, that he honoured me by letting me be the first person to ride it. We have had a fabulous day. Great weather fantastic bikes and good company. Not having been out all season Gordon is really looking forward to getting out at Silverstone tomorrow. 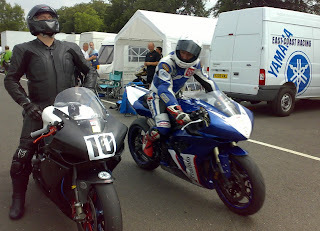 Off to Silverstone tomorrow for a good run out. Going to take "Gordon" - see how he's feeling after a big rest this season. 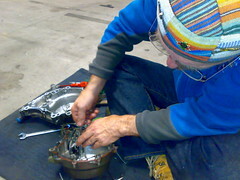 Mark Hanna is bringing "Sabina" and we are going to see what the new rear shock assembly he has developed will be like. 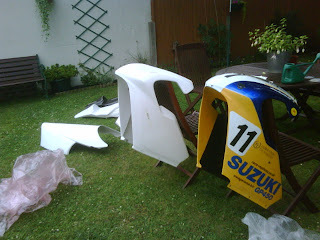 Mark's also bringing his new aquisition for me to have a run out on - not named yet - but can you tell what it is? 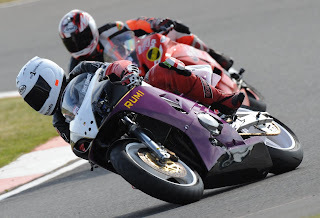 Just working on video footage from my latest 1to1 coaching with a client at Oulton, thought I'd share a bit... an outlap from when we were split up. 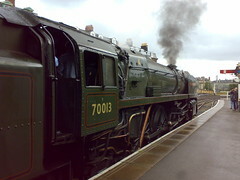 Had a fab day on the Scarborough Spa Express. Something I've wanted to do for a while. Great Summer holiday with Jodie. This year I have been able to have some great fun with my daughter Jodie, she has shown an interest in bikes, and we've just started to do a bit of off road riding - thanks to Harry for lending me his bike. 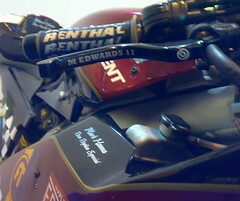 ...Rather than spend 1,000's on the bike anymore I decided to spend the money on the nut on the saddle. 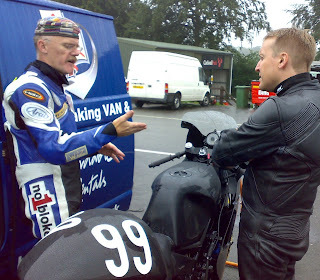 At a very wet and gloomy Cadwell Park in August Mike gave me insights into my riding techniques - he knew what I was thinking and my attitude to corners before I could even elucidate them, which showed me he really knew what he was talking about. We worked through a lot including; lines, body position, suspension set up, attitude to overtaking, mechanics of weight transfer. This was all fantastically backed-up by Mike's video analysis, there were no excuses then, and it all became crystal clear what I was doing wrong. 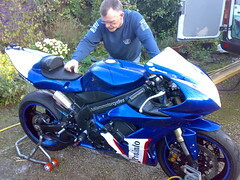 Mike also nobly mucked in and helped fix my bike on more than one occasion. 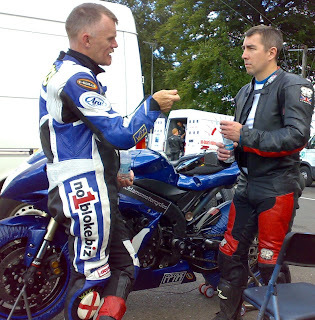 His tuition style is excellent, he speaks in plain English, he realises the day is about the rider and focuses completely on you, not once did I hear an old war story, he has the patience of a saint, is enthusiastic and never once gave the impression he didn't want to get out on track even in the grimmest of weather conditions (I would have been very interested in his old war stories though). 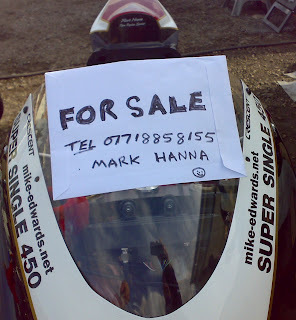 If I could start my racing career again, I'd get a decent reliable stock bike and go see Mike, before spending any money on the newest gizmos. 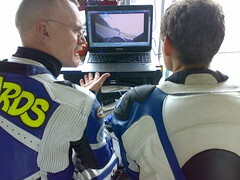 The greatest gains in lap times are in a brain re-map, not a few more bhp. I'm seriously considering another tuition day to see what I can learn in the dry. 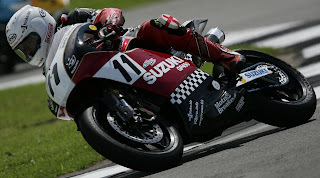 It's a Monday and it's Cadwell Park. 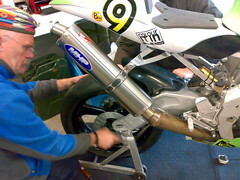 The only difference from last week is that its been raining all day and my coaching client is on a two stroke! 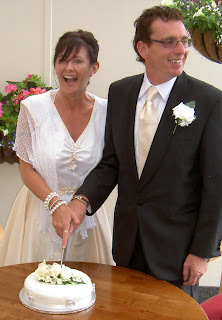 I would just like to say congratulations to Mr. & Mrs. Mark Hanna, who were re-married on Tuesday. Mark, you are very lucky. 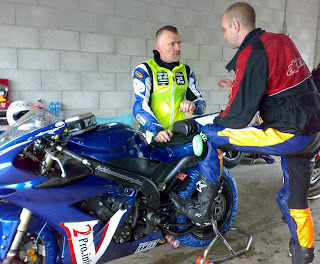 Doing some 1 to 1 coaching at Cadwell today. What a glorious change for it not to be raining! The 'bugs' are tested to approx. 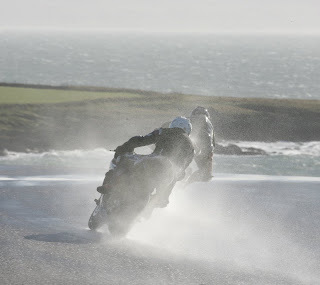 120mph - it's just the rain that they don't like. Well 'Sabina' has done exactly what Mark wanted. He planned her out, designed her bits and pieces, rustled up plenty of product and financial support, built her up into a beautiful, competitive machine, took her racing - and Won! He's currently building another bike, and that means it's time for her move on. Fate dealt a great hand - and we WON!! Looks good and sunny doesn't it? Well it was for practice. 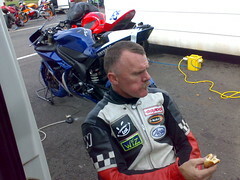 But I only got five laps as the bike seemed to be over heating and loosing power. We really didn't know what to do; with less than an hour to the race. All we could try was to top the water up and check there wasn't an air lock. Just ten minutes to go and it rained and rained - poured down and the track was soaking wet. 'Sabina' looks gorgeous in her new outfit specially designed for this event. 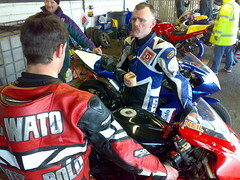 15 minutes of practice this afternoon shortly followed by an 8 lap race. 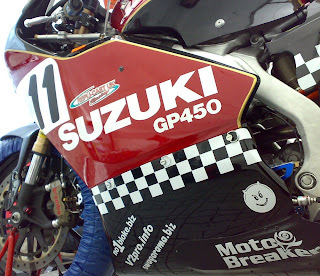 Sabina has a brand new look for Donington, Mark Hanna has re done her livery to have a bit of a retro look. 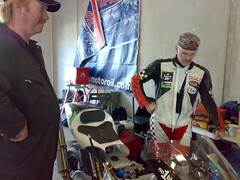 15 minutes practice and 8 lap race are tomorrow, so will keep the blog updated. We are not racing, sprinting or hill climbing. 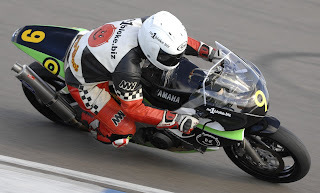 The winner is the rider who laps most consistent to one of their designated lap times. Penalties are given if you lap faster or slower. 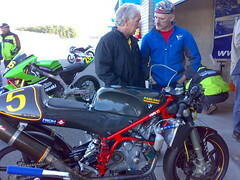 I have 'baggied' the Suzuki XR 23, as ridden by Pat Hennen and Barry, to do my sessions on. Trouble is track is not just muddy but we are also being plagued with heavy rain showers. Three devils the pair of us, if ever there was one! 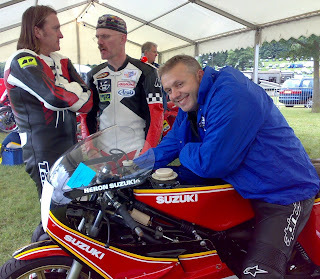 Iain Duffus, Brian Morrison and I are here at the beautiful Cholmondeley Castle, for their "Pageant of Power". 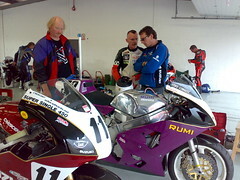 Chris Wilson has kindly invited us to ride his historic bikes. 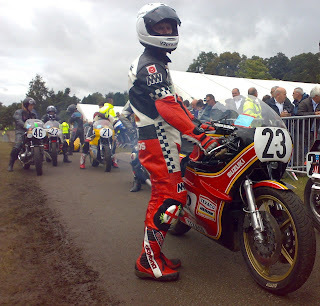 I find the Randy Mamola Cagiva is the one that best matches my leathers at the moment, and Iain is fancying the RGV - that leaves the Roberts Yamaha for Brian. 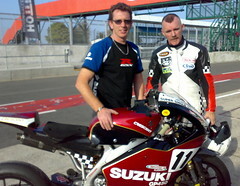 Doing a one to one coaching day with Griffo from the Throttle Monkey forum. It was dry first thing this morning for three sessions. And then it's rained heavily for the last three. 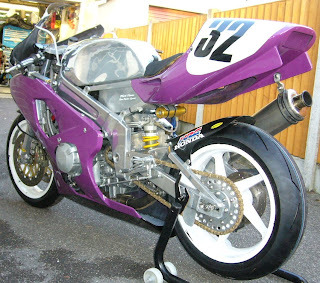 Got the day off work to prep 'Frank' ready for a coaching day at Oulton on Friday, just off to local Yamaha dealers Acklams to use their tyre machine to drop on a new rear Avon. This one has done Rockingham and Cadwell and has done really well, still has loads of life in it however I'm coaching a race competitor at Oulton so think I might need a new one to start the day! 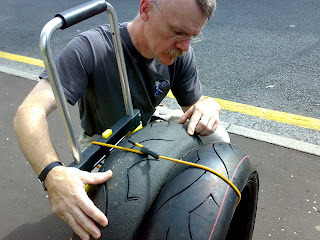 The weather forecast is very poor so I may even get the chance to try Avon's new wet weather tyres, they look like the wets I use on 'Sabina' in the old style tread pattern, so they should offer unbelievable grip in the wet - we'll see. Couple of laps of evening qualifying on the Offenstadt. 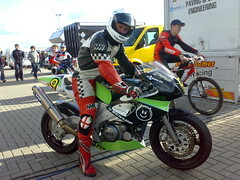 Offenstadt Kawasaki - Spa Bikers Classic 4hr. Sorry it's taken so long to edit and get up - but I have just been so busy, busy, busy. Mark thinks that Sabina should have a new outfit - so thanks to Gary Dawson at ReplicastUK who have supplied all her body work, she should be getting some new clothes. Mind you, I think she'll always look gorgeous whichever outfit she wears! 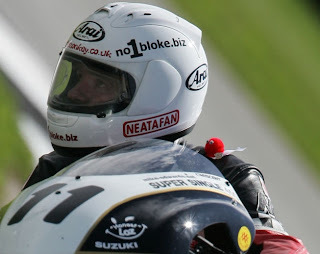 Cadwell, so it must be Friday! Hottrax are running their endurance event here tomorrow. 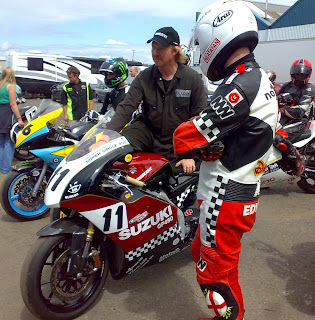 So Phil from East Coast Racing has booked me for a bit of one to one coaching. The weather is glorious, in fact I think its a bit too hot and humid!